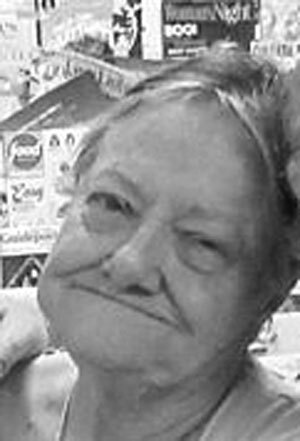 EAST LIVERPOOL — Gertrude Mae Hedden Brown Tuttle Cheuvront, 84, passed away early Monday evening, June 4, 2018 at the Calcutta Health Care Center, following a lengthy illness. Born Dec. 23, 1933 in Elmwood, Ill., she was the daughter of the late Joseph and Annie Hunt Hedden. She was Baptist by faith and had worked for the Fox Nursing Home. In addition to her parents she was preceded by her three husbands, Ross Brown, Clyde Tuttle and Fred Cheuvront, and by a son, Ross Brown, Jr. Survivors include her two daughters, Terry Ridenour, of Abingdon, Ill., and Jennifer Carr, of Seattle, Wash.; a son, Thomas Brown, of Wellsville; a step-daughter, Laney Honstock, of Weirton; and a step-son, Jamie Tuttle of Salineville; a sister, Thelma Wright of East Liverpool; seven grandchildren, two step-grandchildren and two great-grandchildren. Services are scheduled for 3 p.m. Thursday, June 7, 2018 at the Dawson Funeral Home, with Evangelist Will Montgomery officiating. Friends may visit with the family from 2-3 p.m. at the funeral home prior to the service on Thursday. Burial will take place in Calcutta Cemetery.